We love our Hair Hero posts, they give us a chance to explore celeb style and trends. This month though we thought we go for a hero of more classic roots, someone with elegance and poise. So this month, bringing a touch of class to the blog is Queen of the silver screen (and hair) Dame Judi Dench. 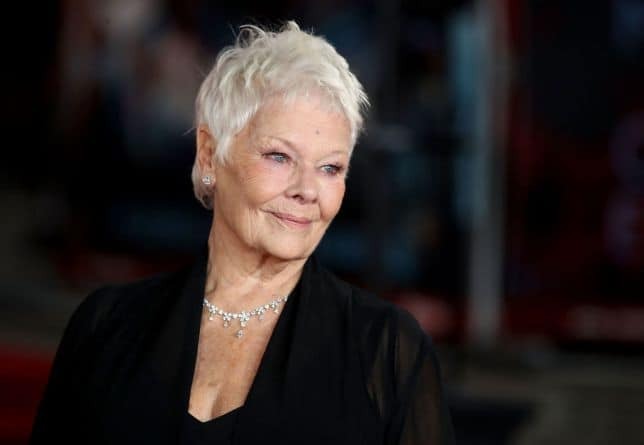 With a career spanning over 60 years, Dame Judi has been gracing both stage and screen with her enigmatic talent for longer than some of us have been alive. Her ability to touch hearts, thrill minds and tickle our funny bones has made her a national treasure. Famed for her short locks, Dame Judi rocks a pixie like no other. From her now classic silver pixie to her way 1980s crop, Judi has always played it short with ease. We love it when a woman embraces her natural grey, and over the years we’ve seen Judi play with her grey tones by adding in a little blonde, darker greys and her now platinum silver tones. We love how Judi experiments with her short hair by using different colours and textures to create different looks. The perception around short hair is that is can be quite limiting, but using different products and styling , methods can create sleek smooth styles, soft feminine looks and even create edgy rock chick vibes. If you’re thinking of going for the chop or maybe embracing your natural grey and want some advice on how to say bye to the dye then contact the salon, our team can advise on the best route of action and products that will enhance your natural hair. You can get in touch via our Cutting Club website , our Facebook Page or call the salon on 01472694900 – it’s never been easier to ‘Be Part of It’.